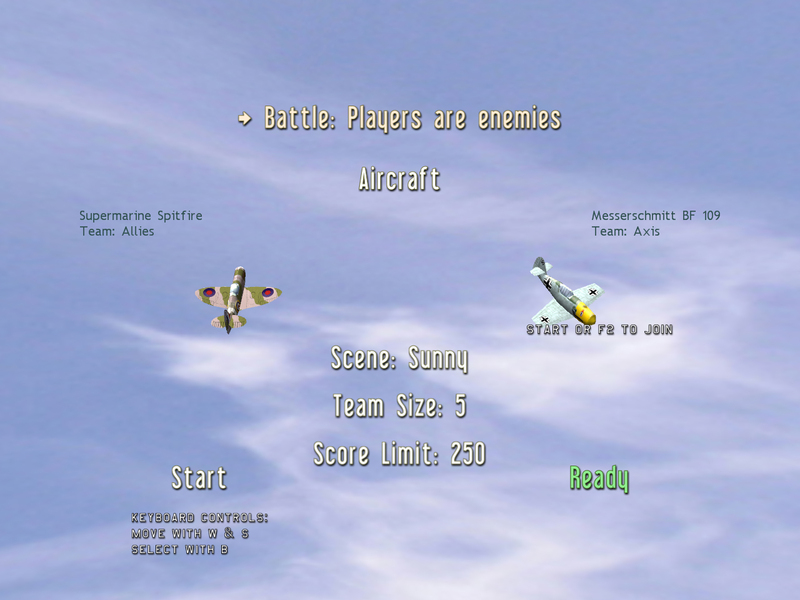 “Sharky’s Air Legends” preview #3 build released. How does a 5 vs 5 battle sound? I’ve uploaded yet another preview build. That’s 3 now – must be some kind of record. Scoring not completed. Doesn’t reward/penalize mid-air collisions. I get random mystery crashes on the XBOX 360 version. I’m not sure why yet, but try again 2, maybe 3 times and you’ll start getting a trouble free game. Bizarre. I would love to hear if anyone else is experiencing this on the 360? Once again, this is a sneak peak release showing off my newest features as I polish them. My old, comparitively boring, release is still available here. I’ve uploaded another preview build – this one vastly improves on the last one and shows off a great new feature I hadn’t mentioned before. 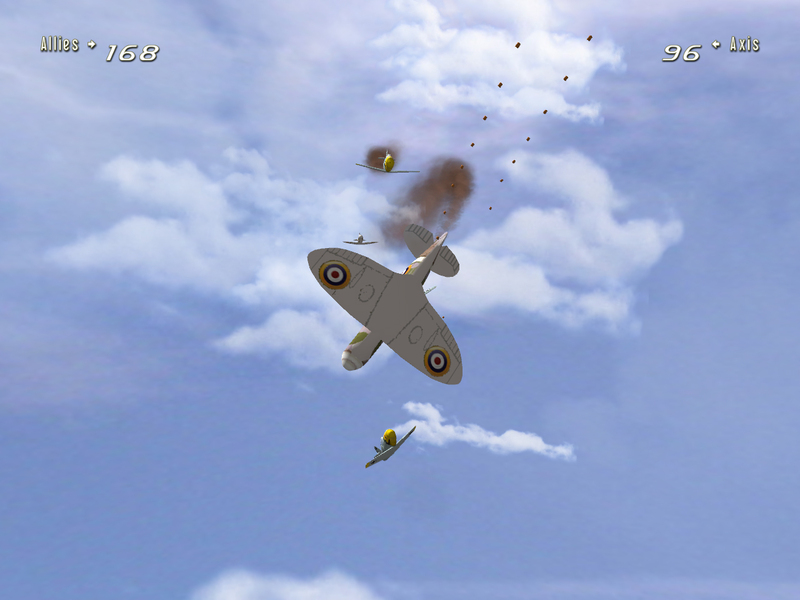 Thanks also to some generous donations “Air Legends” is now working on the XBOX 360 too, and you can try both flavours from the links below. Think of this as a sneak peak, rather than an official release. There are known issues – things left to do before I’ll make an official release of it. The camera movement is a whole lot smarter now. I was getting fed up with how a lot of the time you’re shooting blind, because the enemy is often just outside the edge of the screen. One option was to zoom out, but I’ve tried something a bit different that I’m really stoked with. 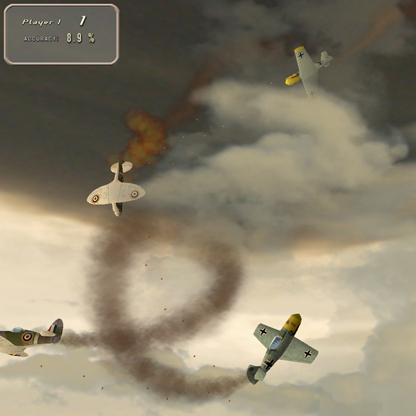 the camera attempts to keep both yourself and the tracked aircraft in view. if the tracked aircraft is too far away (out of the screen) the camera movement and position of your own aircraft will still give you a sense of where the tracked aircraft is coming from. if you have an XBOX 360 controller you can use the Right ThumbStick to override the direction camera is focusing. ie. 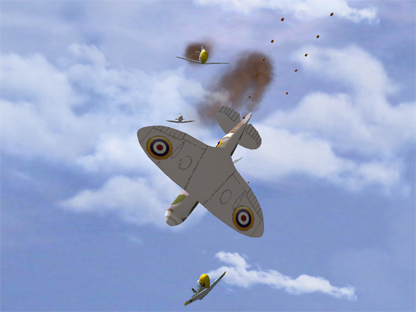 disregard the tracked aircraft and look somewhere else. After a couple of seconds left idle the view springs back to the tracked aircraft again. If anyone feels game to try the “Coming soon-ish” features NOW, you can download a preview build directly here. BE WARNED. There are a bunch of Known Issues that I still have to address before I’ll release this one officially. More Sharky’s Air Legends! Coming soon-ish. So here’s what I’m talking about…. I’ve improved the AI enormously. It is no longer the fake, more or less random & suicidal AI it was before. It is fairly simplistic & home-brewed but very effective. only shoots when it makes sense to! lead their shots – deadly. have some simple self preservation techniques. recognizes friend from foe and attacks other enemy AI’s. What this all means is I can now make the single player experience much more fun. To date it’s been pretty much proof-of-concept and some cannon fodder practice for those just wanting to sample the game with. 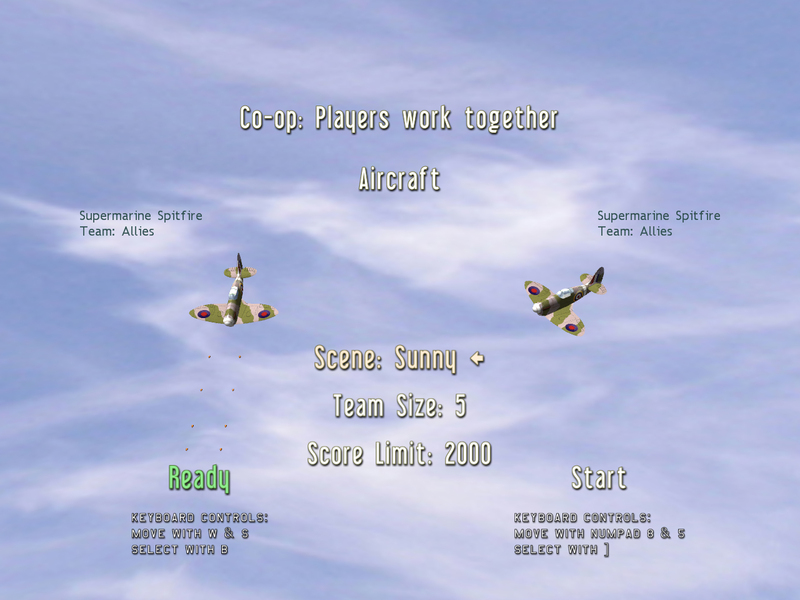 When you have two players & both select the same aircraft you get CO-OP play! Why not release it right now? The AI is a little TOO effective right now. Some tweaking required. The AI doesn’t have the smarts yet to hold fire when a team mate gets in the way. 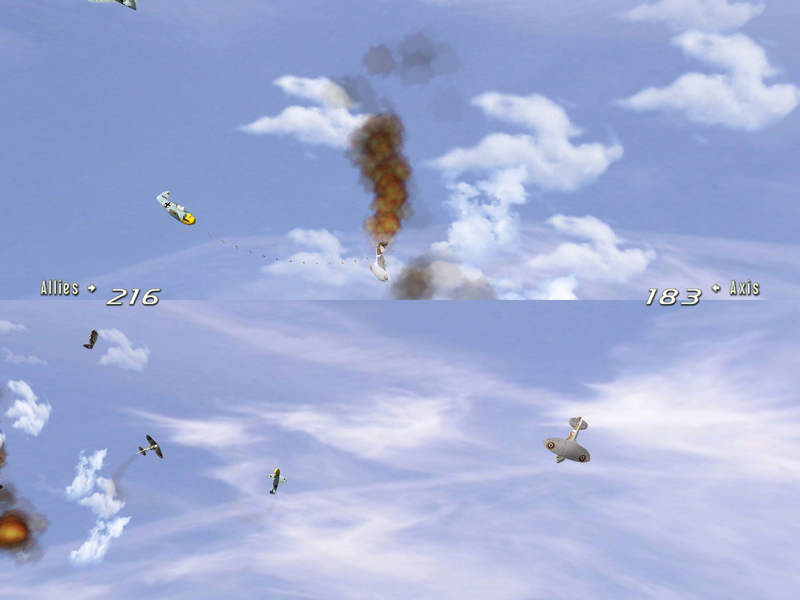 more planes means more particles (bullets, explosions, smoke etc…). I plan to scale the quantities of particles back based on how many planes are buzzing round. Scores. These changes mean I’ll need to revise the scoring to be Team scores – will retain stats per player if I can. Bound to be some bugs along the way. So what about an XBOX 360 version? 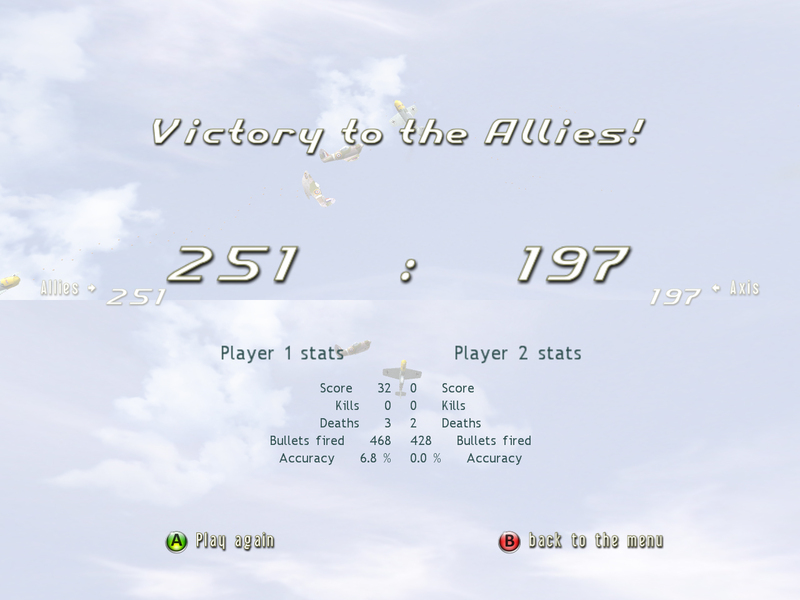 I’m excited to announce I finally own an XBOX 360, so “Air Legends” WILL be coming to the console just as soon as I can manage it! I still have to buy my Creators Club Membership before I can start realizing the dream. You are currently browsing the Sharky's Blog weblog archives for April, 2008.